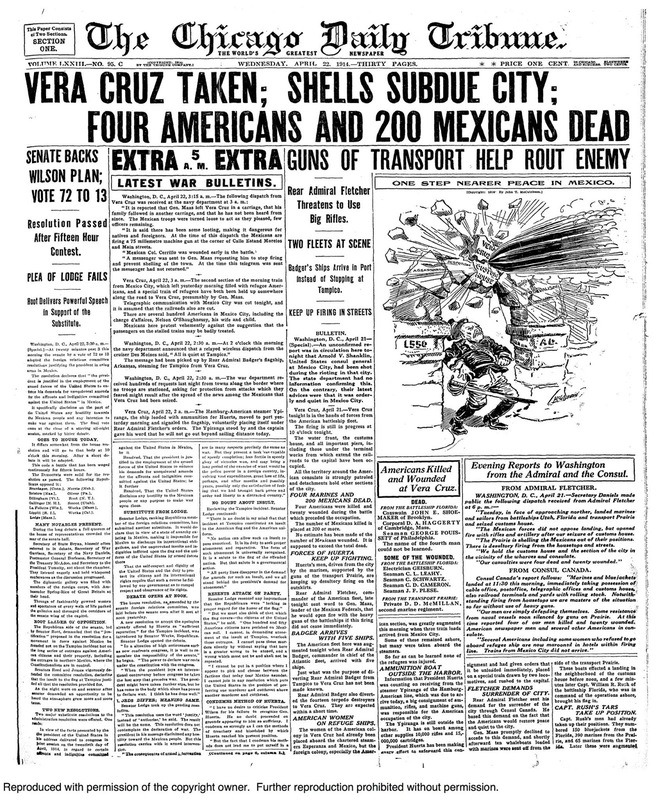 April 25, 1914 -- In a conflict that began with a relatively minor incident in which neither Mexican authorities or United States sailors could speak one another's language, hostilities loomed between the two countries, and young men began heading for the nearest recruiting posts, volunteering for the military. 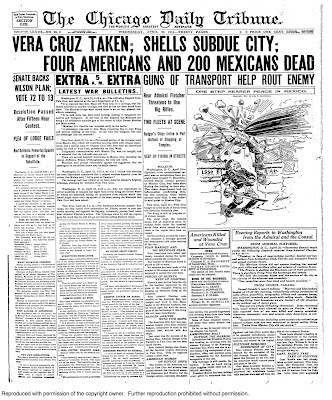 On this date the Chicago Daily Tribune reports that 1,000 applicants have made their way to the city, including Harold Witherspoon from Whiting, Indiana. The 17-year-old had walked all the way from his home to enlist -- a distance of 23 miles. Within a block of the naval recruiting station at 205 Fifth Avenue (today's Wells Street) a packing case falls off the back of a truck and crushes his foot. He is accepted conditionally and sent to Lake Bluff to recover. If he fails to do so, he will go back to Whiting . . . but not on foot. Of the thousand men who show up less than a hundred are accepted.